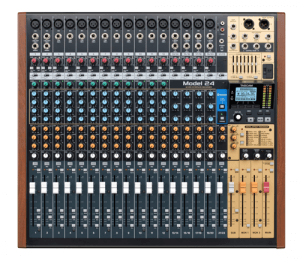 Continuing its long legacy of high-quality professional mixers, TASCAM has introduced the new MZ-223 and MZ-372. Both rack-mount analog mixers offer flexible inputs, mixing, and routing that makes them well suited for installs in small to mid-size venues such as restaurants, hotels, ballrooms, meeting rooms, and schools, as well as residences. The compact 2U rack-mount TASCAM MZ-223 offers five audio channels, each with a dedicated Gain potentiometer and two stereo sets of RCA line-level inputs (ten RCA inputs, total), that can be mixed, segregated, and routed to three independent zones or destinations. Channels 1 and 2 can also accommodate phono-level signals for use with a turntable, making the MZ-223 suitable for DJ and residential applications. Two convenient front-panel, balanced XLR inputs handle microphone signals. Each of the MZ-223’s three stereo output zones present balanced XLR and unbalanced RCA line-level outputs, enabling long cable runs or connections to residential power amplifiers or powered speakers. A generous assortment of front-panel volume sliders, routing switches and buttons, EQ knobs, and mute buttons enable simple, fast setup and operation. A Talkover function automatically lowers other source levels when microphones are in use. The 3U rack-mount TASCAM MZ-372 enables audio signals to be mixed, muted, and routed to 2 redundant outputs or destinations. 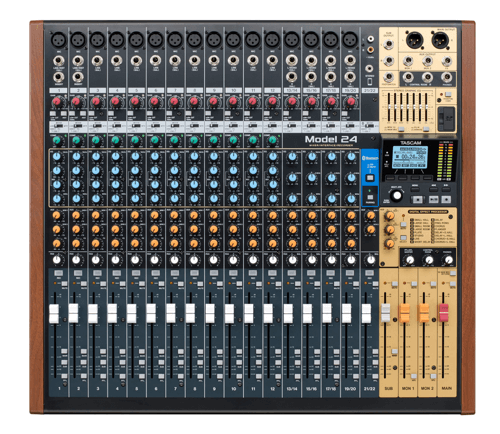 Each of its 6 audio channels has an independent volume control and features 2 stereo sets of unbalanced RCA line-level inputs (12 RCA inputs, total), and 6 balanced XLR mic/line (switchable) inputs on the rear panel, plus a mic-level XLR input on the front panel. Each of the MZ-372’s dual outputs offer balanced XLR and unbalanced RCA jacks, enabling long cable runs or connections to a main mixer and monitor mixer, professional amplifier, or residential power amplifier or powered speaker. A Talkover function automatically lowers other source levels when microphones are in use. A separate pair of unbalanced, line-level RCA recording outputs make it simple to capture events. Podcasting has been around for over a decade. 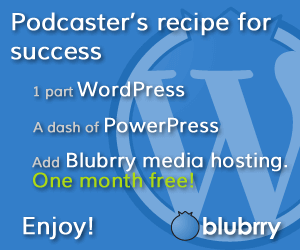 During that time, podcasters have had to rely on a plethora of tools that were really designed for other uses. 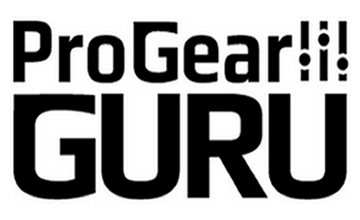 Sure, you can create a podcast with gear that was created for music or live sound production. But it can lead to complex workarounds or other hassles that keep you from the important thing: Creating your podcast. 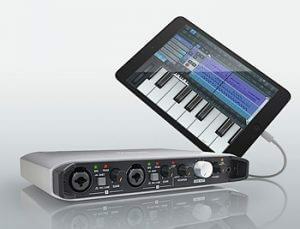 With that in mind, Tascam has released two new MiNiSTUDIO interfaces made with podcasters in mind. Central to the MiNiSTUDIO Personal is an XLR/combo mic/line connector and a professional quality micropone preamp. Built-in phantom power allows you to quickly and easily connect your favorite dynamic or conderser microphone…or not… For the ultimate in plug and play convenience, the MiNiSTUDIO Personal features a built-in microphone, so you’re ready to talk the talk right out of the box. Simply press the ON AIR button and go to town. And to top it all off, the MiNiSTUDIO Personal features a 4-band parametric EQ, adjustable on-board compression and a digital reverb effect with a convenient front panel depth control. Di(s)guise your voice, fool your fans! Perhaps the most extreme feature of the MiNiSTUDIO Personal is the Voice Effects option. Simply pressing this innocent little button will instantly transform your voice in any one of a number of amazing and amusing ways. Pitch your voice up into cartoon mouse territory or pitch it down like you’ve joined the Dark Side. Add a spacey Echo, wobbly Chopper or go old school with the Walki-talkie-approved Radio effect. Voice Effects: crazy, wacky and a whole lot of fun. 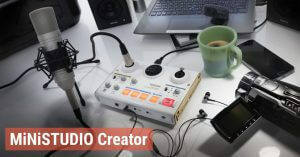 Unique to the MiNiSTUDIO Creator is a powerful Creator / Broadcast selector switch on the front panel of the device. When set to Broadcast mode, the audience will hear exactly what you hear as all audio generated my the MiNiSTUDIO and/or your computer will be mixed together in a single stereo stream. Talk, play guitar, play games or play MP3 files. If you hear it, they hear it. But flick the switch to Creator and you’re in full production mode. When set to Creator, the MiNiSTUDIO transforms into a professionally specced two-channel USB Audio Interface. Perfectly suited for any DAW or video editing software, the combination of dual HDDA mic preamps, Hi-z inputs, EQ, compression and reverb deliver a powerful and flexible front end for any media production task. Both versions of the Tascam MiNiSTUDIO are available for purchase now. The US-32 is expected to retail for $129.00 and the US-32 should sell for $179.00. It’s become increasingly easier over time to capture and create audio in remote locations. No longer is it necessary to be tied to a room full of expensive gear in order to record vocals or produce instrumental tracks. Tascam’s latest digital audio interface, the iXR, was designed with this in mind. The iXR is extremely portable. Hence, it’s designation as “a music studio that fits in a bag”. Tuscan’s iXR audio interface is a true solution for audio producers on the go. The iXR is MFI-compliant, so it can be connected directly to an IOS device via Lightning cable. No USB adapter required. Producers can use the iXR to quickly access a plethora of sound-related apps, such as multitrack recorders, effects processors, software synthesizers, and more. The iXR also has a standard USB 2.0 connection, so it can be used with desktop computers and other USB-ready devices. The iXR comes with two built-in XLR/TRS jacks that allow for microphones or instruments to be connected directly to the device. There’s also onboard phantom power for use with condenser microphones. For monitoring, there’s a headphone jack as well as a pair of balanced line outputs that can be sent to powered monitors. The headphone volume jack works independently of the line outs, so these monitoring sources can operate at different volumes. There’s also a pair of standard MIDI I/O jacks for connecting keyboards and other MIDI-capable devices. Pricing and release information are not yet available for the Tascam iXR.